Anyone going to this? I think I am going to pass. I saw her play earlier this year and it is WAY too hot / trains are a mess. She's playing Brooklyn Steel next year...where there is an air conditioner. Never thought I would pass on a PJ gig. ^ She's not touring next year, though, she's already played Brooklyn Steel in April. Central Park and Wolf Trap are her last shows in the US for THSDP - then it's Europe for the rest of the summer and South America in autumn. Who knows when she'll tour next. Last edited by rubidoux; 07-19-2017 at 08:49 PM. You're absolutely right. I somehow read an old email yesterday that was advertising the show at Brooklyn Steel that took place in April. Oh, well - enjoy! Hopefully, some video will surface. It seems that lucky New Yorkers got an amazing set! That setlist is beyond dreamy. The show was amazing, my favorite of the NYC shows this tour. I hadn't seen recent setlist, so highway 61 caught me completely off guard as well. 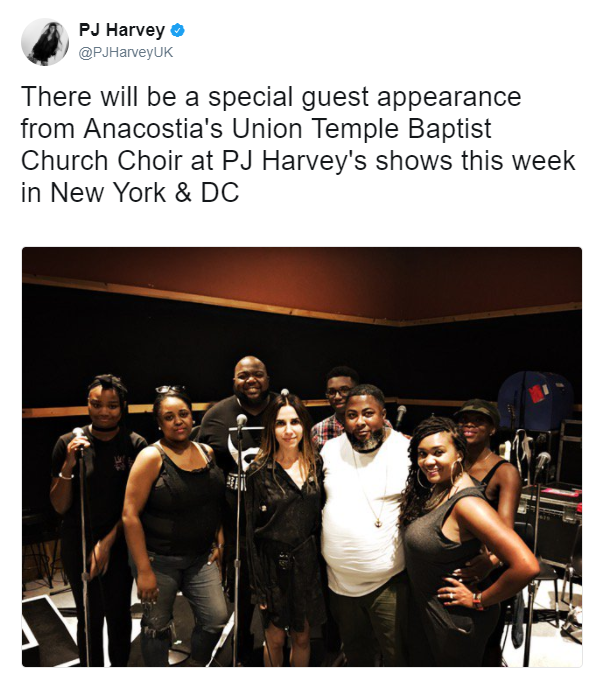 Has she performed The Community of Hope or Anacostia with a choir before? ^ No, it was the first time. She also performed with them last night in Washington, but that's it. Now the tour's moving to Europe - without the choir. The choir is the same one that was featured in "The Community of Hope" video. Yes, but River Anacostia and Community of Hope were great with the choir. 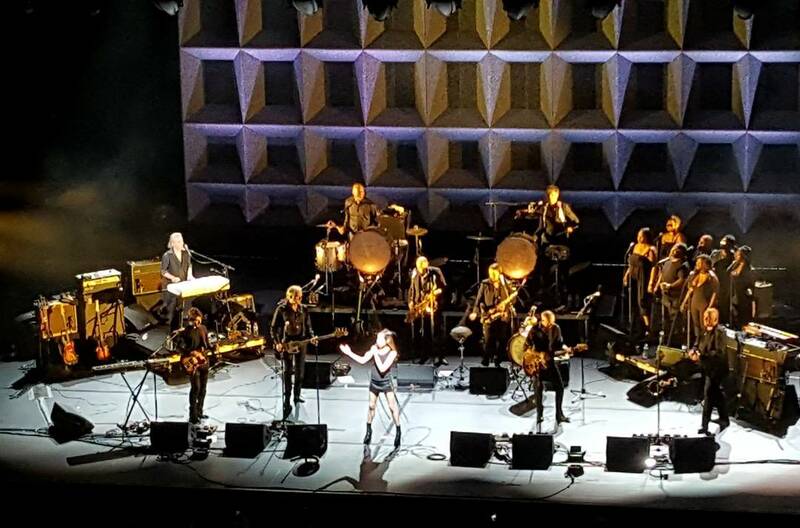 I saw her at Wolf Trap in Virginia. I was in the second row. I have never been that close at any concert before. It was amazing. I'm in withdrawal from PJ now! It's a little sad she won't be coming back to the US anytime soon.